Michael Fassbender (born 2.4.1977) Michael Fassbender is an Irish / German actor, known primarily for his roles in Inglourious Basterds and Shame. 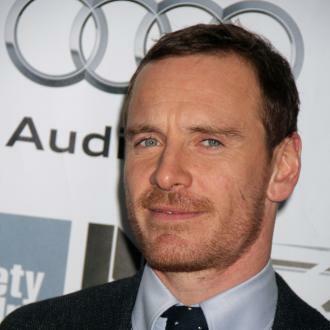 Childhood: Michael Fassbender was born in Heidelberg, West Germany, to Adele and Josef. His father is German and his mother is Irish. His parents moved to Killarney, County Kerry, in Ireland when he was two. There, they ran a restaurant, West End House, where his father worked as a chef. 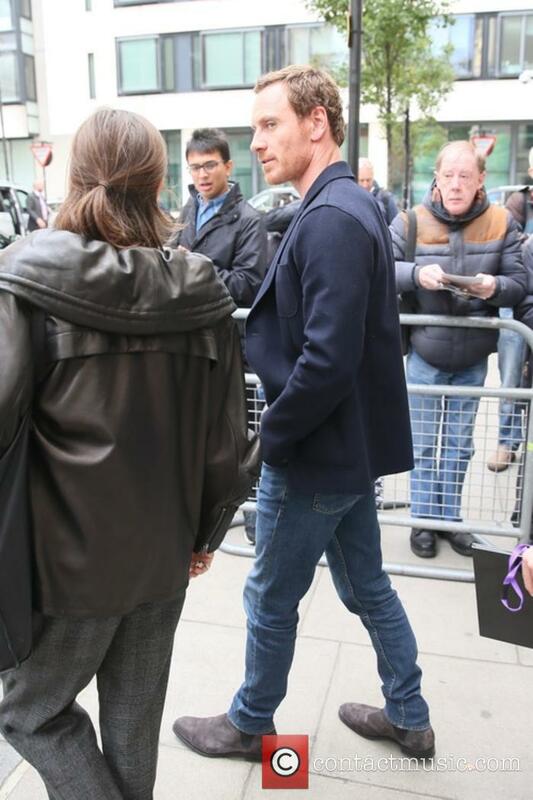 After school, Fassbender attended the Drama Centre in North London. Now, he splits his time between working and living in London and Los Angeles. 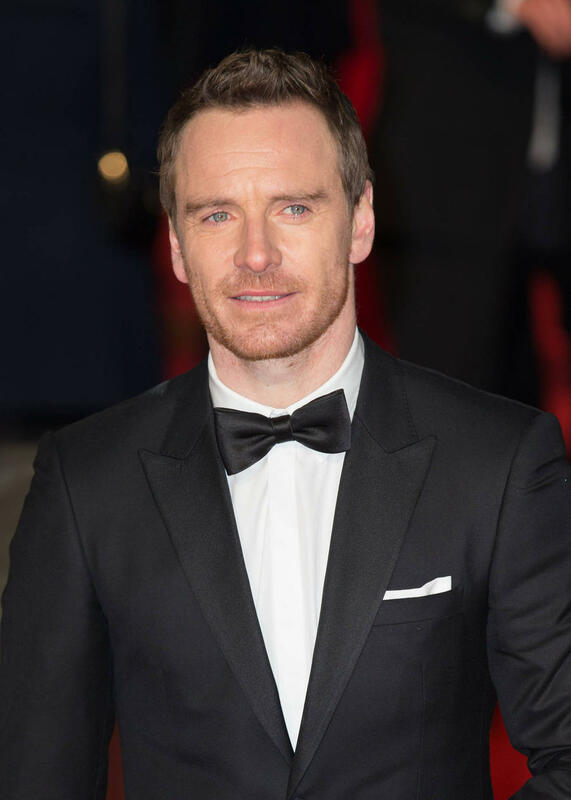 Acting Career: Michael Fassbender's major acting break came when he landed the role of Burton 'Pat' Christenson in the award-winning series Band of Brothers. The series was produced by Steven Spielberg and Tom Hanks and among the actors in the cast, were James McAvoy, Kirk Acevedo and Dale Dye. 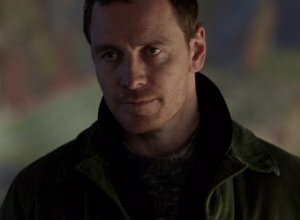 Fassbender went on to play the role of Azazeal in BBC America's Hex, with Laura Pyper and Christina Cole. He also appeared in a music video for the British indie rock band The Cooper Temple Clause. Turning his hand to radio work, Fassbender also appeared in a 10 part radio series of Dracula on BBC Northern Ireland. 2006 saw Michael raise his profile in the United States, when he appeared in 300. The film, directed by Zack Snyder, starred Gerard Butler and Dominic West. 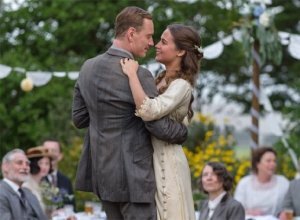 In 2007, Michael Fassbender appeared in a film entitled Angel (in the UK, it was called The Real Life of Angel Deverell) about a young British writer, played by Romola Garai. It was based on a novel by Elizabeth Taylor and premiered at the Berlin International Film Festival. 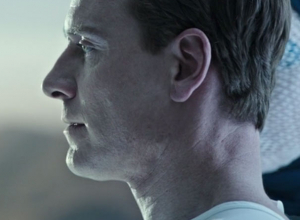 The following year, Michael Fassbender starred in Steve McQueen's Hunger. 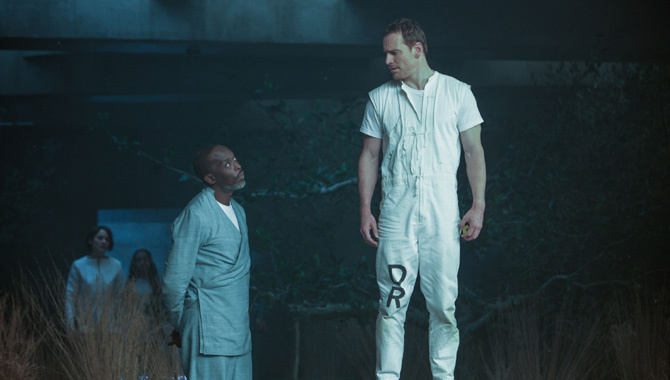 In preparation for his role (he played a Provisional Irish Republic Army prisoner, Bobby Sands), Fassbender was required to go on an extreme diet that restricted him to 600 calories a day. His performance was highly revered amongst film critics and led to further opportunities for him in the film industry. 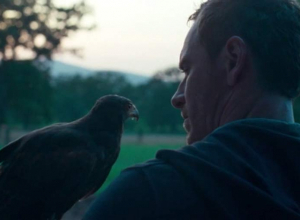 Following the success of Hunger, Fassbender appeared in Inglourious Basterds and Fish Tank. The former was directed by Quentin Tarantino and starred Brad Pitt and Eli Roth. The latter was a British film, directed by Andrea Arnold and starred an unknown actress, Katie Jarvis. In 2009, he also appeared in the horror film Blood Creek, with Dominic Purcell. In the 2011 adaptation of Jane Eyre, Michael Fassbender played the role of Edward Rochester, along with Mia Wasikowska in the title role. He then landed another role in a Hollywood blockbuster, with X Men: First Class, a prequel to X men, set in 1962. 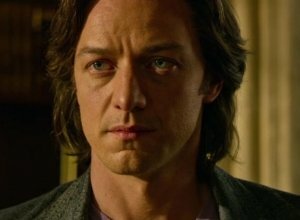 It saw him share screen time with James McAvoy once more. 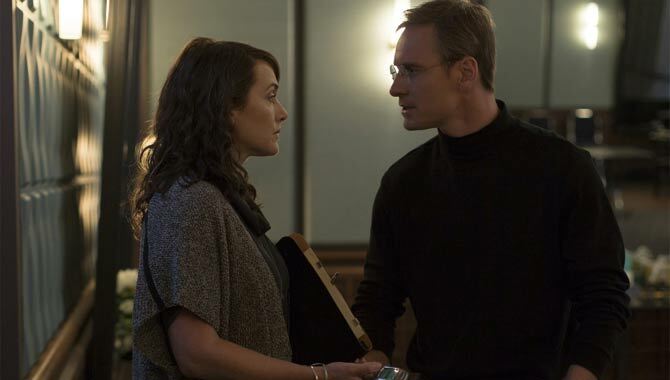 In the same year that X Men: First Class was released, Michael Fassbender also appeared in David Cronenberg's A Dangerous Method (in which he played the role of the Swiss psychiatrist Carl Jung) and was reunited with Steve McQueen in Shame. Shame premiered at the Venice Film Festival, where Fassbender won the Volpi Cup for Best Actor. In 2012, his performance in Shame saw him nominated for a Golden Globe but he lost out to George Clooney. 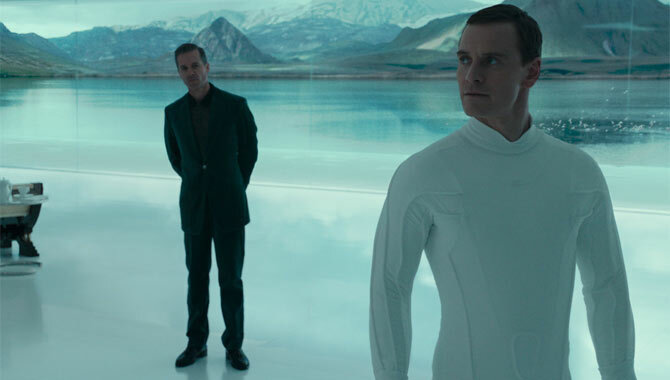 Later in 2012, Fassbender appeared in Prometheus, a film directed by Ridley Scott. 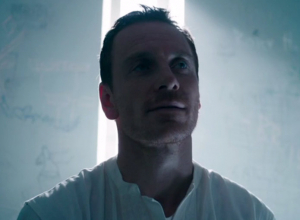 The film co-stars Noomi Rapace and Fassbender plays and android named David. These films just failed to make it big in the box office! The movie was a genre he always wanted to do. Although he prefers not to talk about it, reports have confirmed that Michael Fassbender married his girlfriend Alicia Vikander last weekend in Ibiza. 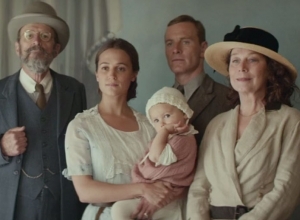 Meanwhile, the actor's new film is in cinemas facing some rather mixed reviews, which has been a surprise for a film directed by Tomas Alfredson (Tinker Tailor Soldier Spy) and produced by Martin Scorsese. 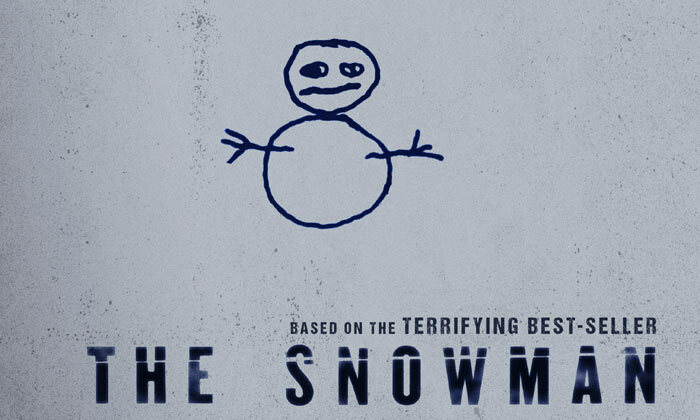 In The Snowman, Fassbender plays detective Harry Hole, who features in 11 novels by Norwegian author Jo Nesbo. 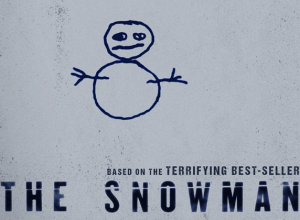 To prepare for the role, Fassbender read all of the books, except The Snowman. "I chose not to read it," he explains, "just because I only wanted to get a sense of who Harry was up until that point. I love the books! They're easy to read but not disposable, there are lots of layers and depths and complexities, lots of research. These are books that are really intelligently woven together, so reading them one after another has not only been great fun but has made me really understand this character so much better." 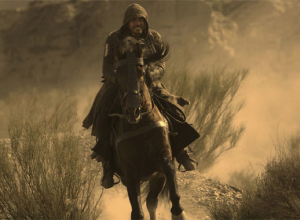 Continue reading: Michael Fassbender Says 'Assassin's Creed' Flopped Because It "Took Itself Too Seriously"
Master filmmaker Ridley Scott is back to continue the story 10 years after the events of 2012's Prometheus. And while this film carries on with the bigger themes about creation and identity, at its heart it actually has much more in common with the film in which he kicked off the franchise, 1979's Alien. Yes, this is a horror movie. It's slickly made and packed with engaging characters, and it gets gruesomely scary too. 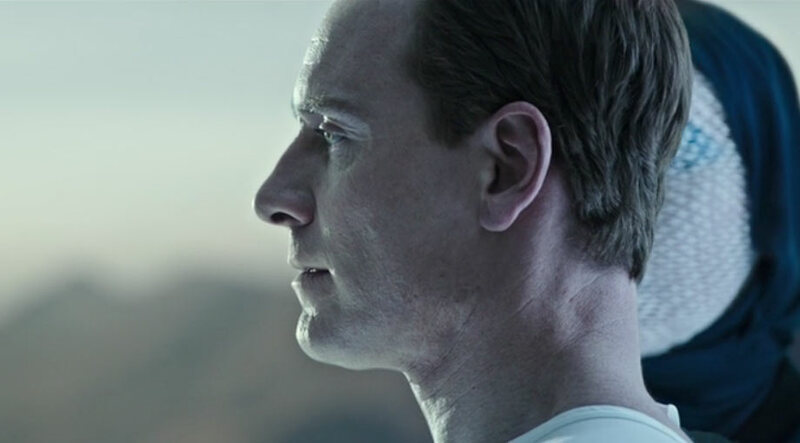 The setting is somewhere in space in 2104, as the colonising ship Covenant carries a few thousand sleeping earthlings to a new world, tended to by the android Walter (Michael Fassbender). Then a space flare awakens the 15-person crew, and they hear a rogue radio transmission from a nearby planet that's eerily perfect for colonisation. Captain Oran (Billy Crudup) thinks it's worth checking out, potentially shaving seven years off their journey. First officer Daniels (Katherine Waterston) isn't so sure. 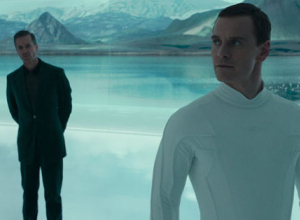 But off they go, exploring the spectacular mountainous terrain, where they find a crashed ship and a city populated only by the Prometheus' android David (also Fassbender) and some creepy, acid-salivating creatures that he has something to do with. The plot plays out like a slasher movie, as the crew members are picked off one by one, starting with the ones we don't know and building up to the starrier cast members. Each main actor gets to invest some back-story into his or her role, establishing relationships and personality quirks that hold the interest. 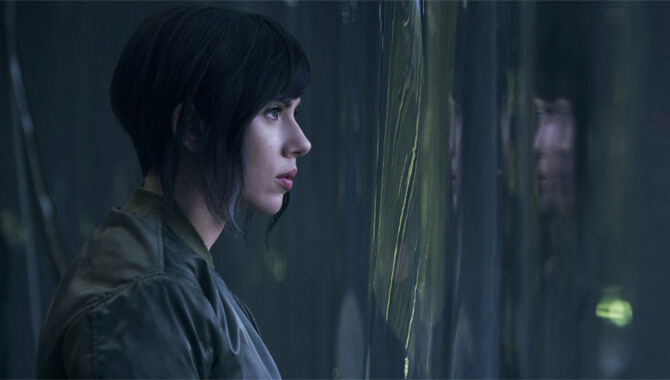 Waterston is clearly the protagonist from the start, grieving over the death of her husband (James Franco in video clips) and showing natural leadership skills. Crudup is the impulsive captain who mellows into someone much more intriguing as the story progresses. And McBride has the other standout role as a tenacious pilot. 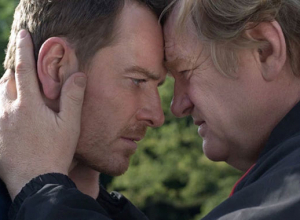 But of course it's Fassbender who walks off with the film, excelling in scenes in which Walter and David engage in a kind of twisted bromance with nasty sibling-rivalry undertones. 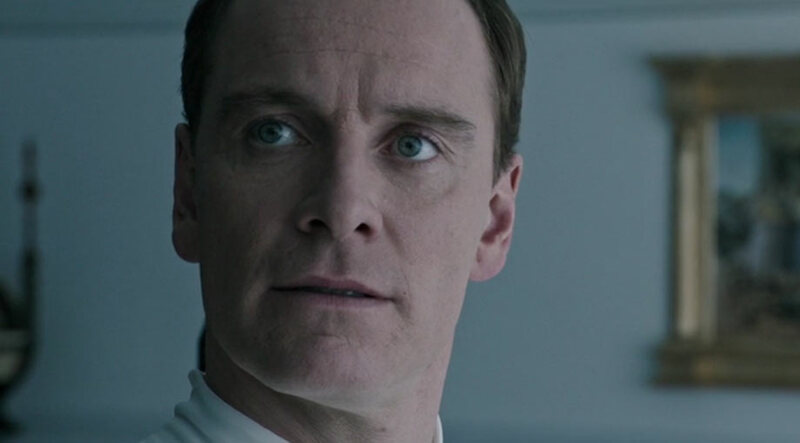 When Ridley Scott announced that he was making a sequel to 2012's Prometheus (which itself was a prequel to his 1979 classic Alien), the one sure thing was that Michael Fassbender would be back as the android David. 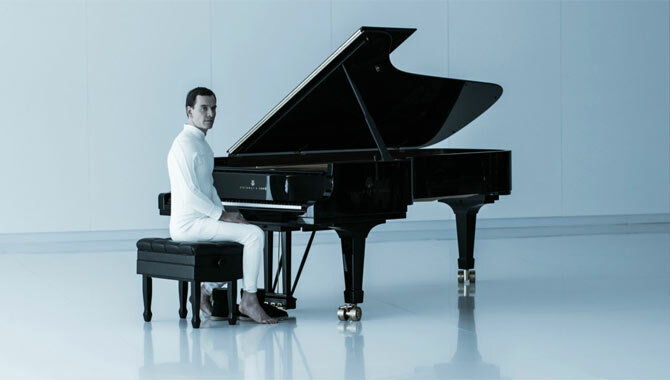 And in Alien: Covenant he also plays the newer-model robot Walter. Fassbender is a fan of Scott's approach to creating this epic franchise. "What's great about Alien: Covenant is the marriage of the first Alien film and what we did in Prometheus in terms of the scope," he says. "The horror elements are definitely there and, so once it gets going, it's relentless! Ridley wanted to bring in the disaster feel from the original film. He intentionally went back to his roots, and I think because of that there is so much here for the fans to enjoy." In this early clip from Alien: Covenant, we see two technicians in full bodysuits approach an operating table in a huge open theatre and begin to create an artificial life. They uncover a basic skeleton structure and step by step a humanlike body is formed. As the process completes, the body is uncovered and Michael Fassebender's character, Walter, is revealed; an android who's been created to join the crew of the spaceship Covenant which is set to journey to a distant planet on a expedition. The land is a exotic paradise but the mysteries it holds soon become a huge problem for the crew of Covenant. Director Ridley Scott has had a long relationship with the Alien franchise; the first movie (released in 1979) was actually only his second attempt at directing and the movie won an Oscar for best visual effects.There's been a number of other directors put their spin on the Alien movies but in 2012 Scott retuned to the directors chair with Promethius - the precursor to Alien Covenant. The music playing in the background of the 'Walter' clip is the hauntingly beautiful 'I Feel You' by Melanie De Biasio and remixed by EELS. The original version of the track was featured on Melanie's second studio album 'No Deal'. 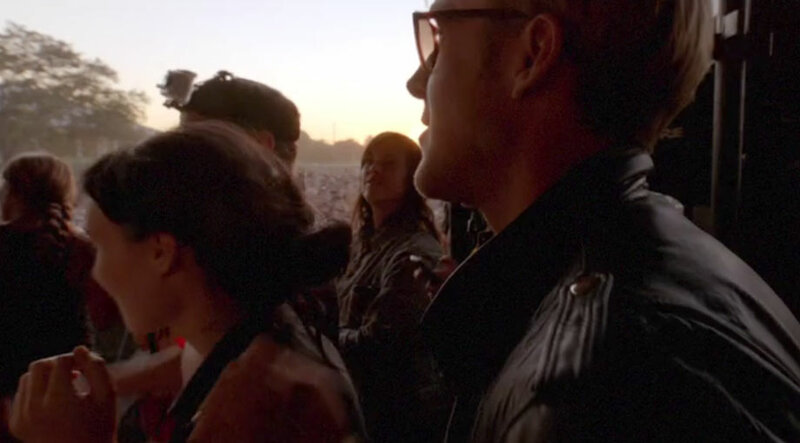 The movie, shot at Austin City Limits, will make an impact at the city's other big event. The new music drama from Terrence Malick, 'Song To Song' starring Michael Fassbender, is set to premiere on the opening night of the 2017 SXSW Festival this weekend, celebrating the Austin music aesthetic that the movie is all about and setting the course for a phenomenal event. Austin, Texas is one of the greatest cities for music in the world, playing host to two major music festivals each year; SXSW and Austin City Limits. It so happens that filmmaker Terrence Malick shot his latest movie 'Song To Song' at the latter in 2012, and they are bringing it back to Austin with a screening at the 24th edition of SXSW today (March 10th 2017). Terrence Malick is set to release his latest movie 'Song to Song'; a musical drama that was partially shot at Austin City Limits musical festival back in 2012. Producers Sarah Green and Ken Kao, music supervisor Lauren Marie Mikus, Cole Alexander from Black Lips, singer-songwriter Lykke Li, and stars Natalie Portman and Michael Fassbender open up about getting to work on extraordinary film at an even more extraordinary festival in a short featurette.